On Feb 17, 2017 we had the pleasure to be of service to Lili & Michael. Their Wedding was scheduled to take place at one of our favorite locations Salt Creek Beach. We kept a close watch on the weather as there was a dangerous storm forecasted for their Feb 17 wedding day. 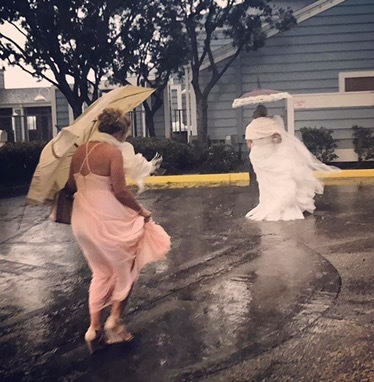 As the forecast got worse we decided to move their dream wedding to another indoor wedding venue that the County of Orange had available. Thank God!! The wedding took place at the O.C. Sailing & Events Center in Dana Point, Ca. Signature Party Rentals did a fantastic job of piping and draping the venue with fairy lights, bistro bulb lighting, and beautiful crystal chandeliers. The happy couple tied the knot in front of family & friends, everybody had a great time. A big thanks to the County of Orange Rangers for saving the day! Thank You to all the Vendors who made this incredible wedding possible.